In 2007, following a disturbing experience involving an abandoned cat named Millie, a group of concerned Beverly residents decided to form a nonprofit organization called the Friends of Bev- erly Animals, which officially incorporated in 2008. 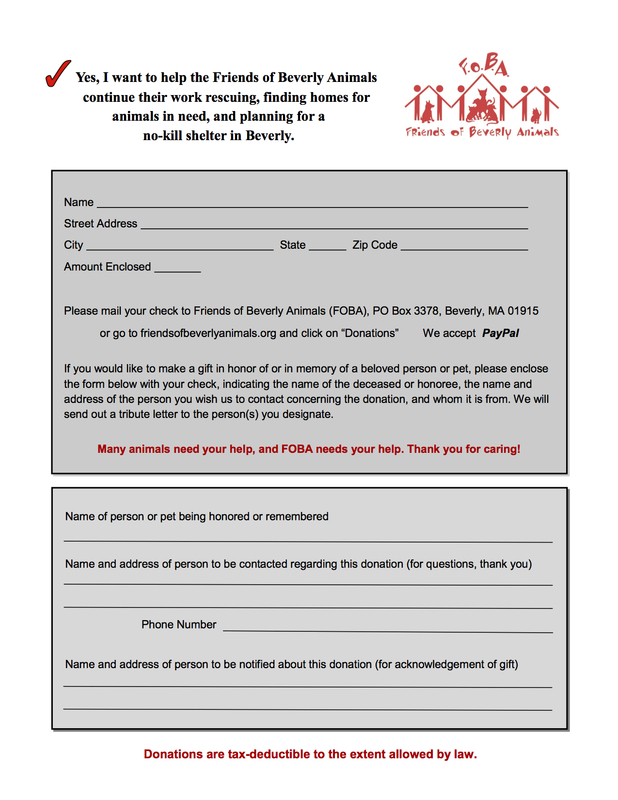 The mission and purpose of FOBA is to help animals in need and work toward the goal of having a no-kill shelter in Beverly. Our dedicated volunteers have saved hundreds of animals’ lives, placing pets in loving “forever” homes, and trying to raise money for a much-needed shelter in Beverly. We receive phone calls every day from people asking for help. FOBA is best known for rescuing felines, but we also assist with ca- nine rescues through networking with other animal organizations to find good homes, and by providing veterinary treatment when we can afford it. One of the greatest challenges we face in rescuing animals is having enough foster homes to meet the need, and finding foster homes for dogs is even more challenging, so much of our rescue work has involved cats and kittens. FOBA has had many successes, but there is still a long way to go. We have had numerous fund- raisers to try to keep up with the expenses of caring for animals that are in danger of being put down or that have been left outside to fend for themselves. We provide essential food, shelter and medical care, which is very expensive and takes up most of our budget. FOBA is an all- volunteer organization. Proceeds from fundraising efforts are used to further FOBA’s mission of caring for animals in need. Now entering our seventh year of operation, this is our second annual appeal letter. It is our fervent hope that you will find it in your heart to make an end-of-year, tax deductible donation to the Friends of Beverly Animals so that we can help more animals and some day have a shelter in our city. Thank you very much for your time and consideration. We wish you a happy, blessed holiday season and New Year! P.S. 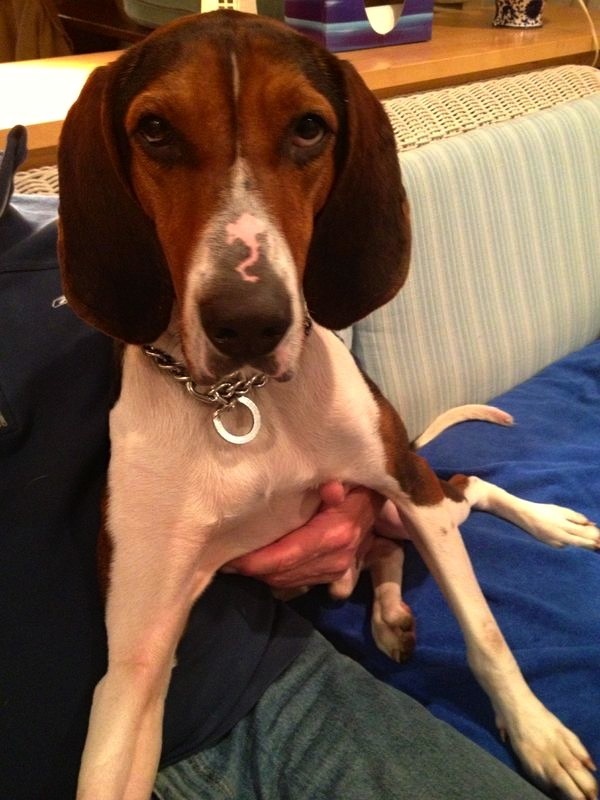 Millie’s story has a happy ending. She was nursed back to health and is doing just fine now.